The Montado Sofa by Eichholtz is a perfect example of how minimalist design with echoes of the Bauhaus movement and robust Mid-Century Modern styling can combine to create a stunning and inviting, versatile piece of contemporary furniture. 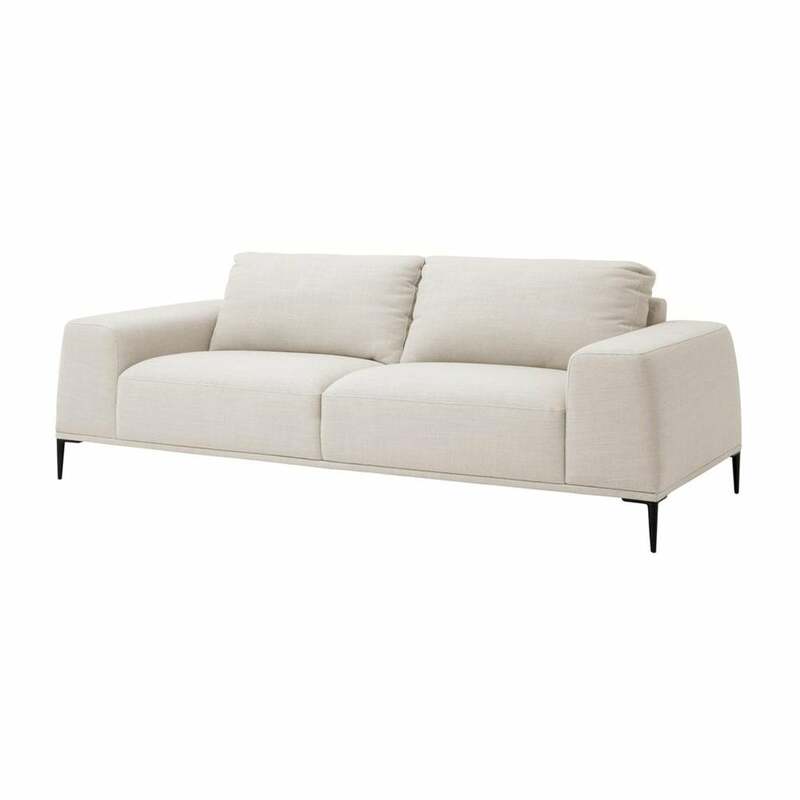 Its luxuriously deep cushioning and elegant, sleek legs make it the perfect hero piece to build a beautiful interior design scheme around and is available in a choice of Panama Natural or Clarck Grey linen blend upholstery. Introduce the Montado Sofa to soften an Industrial inspired theme, style with botanicals and natural wood for a Colonial styled Orangery or Garden Room, go ultra-modern with oversized abstract artwork and metallic accessories, or transport yourself to the Mediterranean with cool marble flooring and clean, linear furniture. Co-ordinate with the Montado Lounge Sofa and Montado Loveseat for a seamless seating area perfect for larger living spaces and hotel lounge areas. Dutch interior design house, Eichholtz pride themselves on their eclectic collection of beautiful furniture, lighting and accessories carefully selected from around the globe. Founder, Theo Eichholtz travelled the world from a young age developing a discerning eye for craftsmanship and style, and sources only the finest of the finest items to add to their luxury brand catalogue. Here at Uber, we have an extensive directory of Eichholtz luxury homewares to choose from. Why not contact our expert interior design team for further details and inspiration to help you find the perfect curated collection for your next home, yacht, bar or hotel design project?